On December 1st, 2009, CCP released Eve Online: Dominion. Dominion was an expansion that shook the game as it ripped out and reset the entire sovergenity system. Overnight, groups lost control of their territory and had to hustle to get the new mechanics built and unlined. It has been six years since Eve was launched and Dominion counts as its eleventh expansion although some reviewers would call them updates and releases more than expansions. CCP is spitting out large, game shaking features faster then ever and Dominion is only the second release in what will be an almost three year growth cycle of Eve's universe. Dominion brought with it changes that were not featured but were as game changing as sovereignty mechanics. The Navy Armageddon, Navy Scorpion, Navy Dominix and Fleet Typhoon make their appearance. Obtainable only with loyalty points from their faction stores, these four ships fill out the battleship lineup a bit more. Missioning is the bread and butter of Eve's ISK gaining gameplay. Until Dominion, it was possibly to completely lock yourself out of a faction due to other decisions. Dominion gave the player the ability to always access level one agents so that the long, slow, grind back into the good graces of the NPC faction could begin. You can now give your wrecks away by setting them free for all. Such a small change yet it is one that will ripple out to create player made careers and new layers of social interaction into the games future. "Warping with Afterburner/MWD active no longer results in reduced agility when you come out of warp." Titans will now launch sentry drones and cans within 1250m to make it easier to retrieve them after use. But CCP goes on. Dominion is an enormous release with a long feature list of fixes and corrections. 2010 is around the corner and with it is the new year. For Christmas, CCP releases the Zephyr. The lore behind the Zephyer links it to Apocrypha and not Dominion. It is a probing and scanning ship that is ignored by sleepers. A very interesting dev blog details the updates to the epic arcs that CCP has been introducing over the last year. One point of note is that the epic arcs can now give faction standings. The way epic arcs give faction standings and the way that other missions give faction standings is different. It also explains why the epic arc faction standings tend to break. (1) The current PvE team also likes Gallente and gives them a few more goodies. 2010 sweeps in with a development blog about how CCP updated the planet textures in known space. The month is rather quiet and starts to pick up towards the end as CCP discussed capital ships. There had been some calls from unhappy players to stop the release of Dominion due to CCP holding back changes to motherships that they had intended to release. Now, with Dominion 1.1 Motherships are becoming Supercarriers. CCP will be upping their damage from fighterbombers be greater than dreadnoughts and increasing their jump distance so that they can spread their destruction across all of space. Oh, how amazing these ships will become, indeed. This means that they will no longer triage and they are also losing their clone vat bays. Lag, CCP's arch enemy is encroaching on its fights. Nullsec is in an uproar as fights and fleet movements are causing clients not to load or black screen. CCP is reinforcing nodes and attempting to replicate the problems. They have developed a form for players to ask for reinforced nodes where they will be having known fights. Eve's fights are only getting larger and the game is struggling to cope. A second dev blog is released only a bit later detailing some of CCP's efforts to fight lag and how they'd like players to assist them with these new mass tests. CCP has also done a PLEX drive for Haiti. The Eve community responded and the drive was extended. This is not the first time nor will it be the last that the Eve community put aside its game quarrels for a social cause. The pace of development feels frantic. Earlier in the year, CCP detailed how they upgraded and updated the graphics and information for the planets. This matters now because in mid February they have released the name and goals of the next expansion. Eve Online: Tyrannis. Tyranis will allow players to create their own infrastructure. It will bring mineral acquisition from planets. It will bring the release of COSMOS now branded as Eve Gate, a portal for players to interact with Eve outside of Eve. Later, Dust 514 will tie into this planetary infrastructure. It will also not bring the long promised Walking in Stations nor Walking on Planets as some do hope. But, it is a start towards a broader future for Eve. The fourth quarter economic newsletter for 2009 is released. The Scorpion hull is also being redesigned. 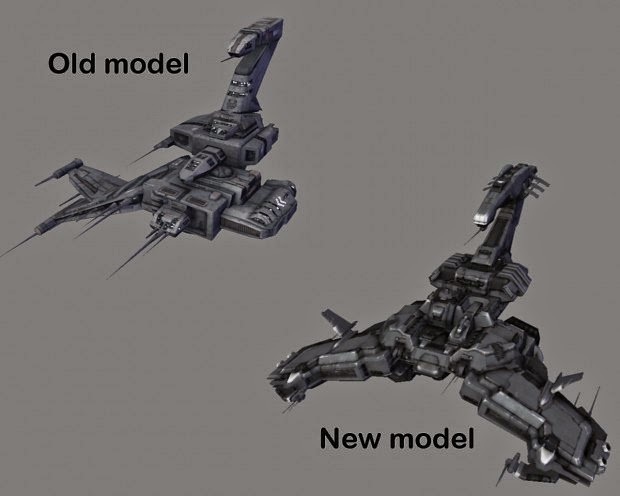 Per the dev blog, the updates to the graphics from Trinity has caused some models to go from interesting to sloppy. A lot of the change is about improving and updating the textures. Eve has an in game Calendar. That calendar was invented and developed for Eve Gate and planned for release with Tyrannis. "See... Alliances don't really exist - not in the same way that corporations exist, anyway. That's why, for example, there's no such thing as "alliance roles" - the thing that you attach corp roles to doesn't exist for Alliances (at least, this is what I understand when the programmers try to explain it to me). It's also at least part of the reason why Alliance "standings" are currently a bit... odd." Are you wondering about the Space Elevator I mentioned earlier? I am at this very moment. We call our first test version Stairway to Heaven. The Space Elevator is the best way to move things off of a planet. It is so good in fact that many planets won't even have them and we're not even sure if players will be able to build them in Tyrannis. Eve Gate will have a beta launch at the end of March and CCP will start stress testing it. It will bring in game communication out of game. The web accessibility will open up eve-mail, a shared calendar, and social communications from their locked position inside of the client. At the same time, standings are receiving a bit of attention. For instance, Alliance level standings will be an option for POS in the future. Eve has long had a problem with balancing its mineral production. Minerals can be gathered by harvesting asteroids as ore to refine for minerals. Minerals can also be reclaimed from modules and ships that are reprocessed. Refining to reclaim minerals is very useful but there is a small problem. Eve spawns modules out of nothing when NPCs are killed. A player will kill thousands more NPCs then modules that they need. These modules can be reprocessed for minerals. It is called 'gun mining' and it is a problem that CCP has tried to tackle before. Now they are going after Meta 0 modules and thinning them out. Rogue drone minerals are improving because for some reason gun mining with Rogue Drones is okay. While they are at it, CCP is nerfing insurance fraud. Insurance prices will no longer be fixed but will depend on market value and mineral cost. They are debating having a more dynamic insurance payout so that ships such as interceptors will payout more than heavy brawlers as a way to encourge people into tackle roles and places where their rate of death is increased. The 5th CSM is going to be elected and the CSM will be moving from a six month cycle to a 12 month cycle. The second novel Eve Online: The Burning Life is also released. In an effort to clean up Eve they decided to nerf deep safes. Deep Safes that existed further than 10au from the further celestial would be deleted. Then four days later they changed their mind. The original name for POCO was Orbital Hangars. We would have called them POOH. Ahh... systems full of POOH. We'd have POOH ops and POOH defense fleets and POOH assaults. We'd harass other players POOH for fights. CTPOOH Defenses. The Planetary Interaction dev blog released by CCP Soundwave details the main feature of Tyrannis. I'd read it however. He discusses CCP's insanity as they tackled the project and the lack of development time for what they wanted to accomplish. It is an amusingly written dev blog. It is also an open door into the payment that will be made in the future for the development decisions now. "The full details are given in a meeting with CCP Hammerhead and T0rfifrans, where they explain their expectations and the team gets to ask questions on how to approach the feature. This is of course also where the full realization of the difficulty and/or time required dawns on the team, resulting either in glass-clinking happiness, mild apprehension or in rare cases, emo rage. Planetary interaction was probably a mix of the three. Happiness because, I’ll be honest, this feature is pretty damn cool. Mild apprehension because the design task involved is more difficult and critical than any other project CCP has done for years. Emo rage because any sane company would have spent a year or two building planetary interaction. Nevertheless, CCP decided a long time ago that we would leave sanity, and never back down from a challenge, so we went on our merry way." But that darkness is not now. Right now CCP Bettok is making static sites reappear. Tyrannis is almost upon us. CCP wants to restart their live events. It is a sensible thing to do with an expansion on its way. Eve Gate is on its rocky feet with eve-mail, information, standings, and in game/out of game communication for all. And then there were speed bumps. Only weeks before the release a scheduled downtime cleanup of Eve deleted huge amounts of player objects. Eve players are hoarders. Our stuff never goes bad. It does not become useless as CCP builds the newest hottest thing. The loss of stuff was a serious Event and it was followed by the delay of Tyrannis due to scaleability issues. Two development blogs are released to fill the void a bit. Also API work is released for the calendar and such additions. And they realized that courier missions were sharing items with planetary interaction. That needed a bit of adjustment too. With a bit of a stumble and a few chunks of filler, Eve Online Tyranis was launched, making it the 12th Expansion (for I do not consider the launch of Eve an expansion) to Eve Online. If they were called POOHs, I would want to have one and call it Winnie. I love you history of expansions. It reminds me of things I was not a part of in the early days, then I am reminded of special treats like the 24 hour downtime when Tyrannis hit. Keep up the great work Sugar! Interesting, if sovereignty reset at a stroke - then why is CCP providing a safety net to null/low by preserving logistics from jump fatigue? Considering how well some parties have now adapted into the new meta - surely by now some have commenced development of industry. Sugar, don't suppose you can prod CCP to timetable the eventual (and inevitable) jump fatigue finalisation?